Larry received his Bachelor’s Degree in accounting from the University of Texas in Austin, rated as one of the best accounting schools in the country. Larry’s financial services career began with the Big 8 accounting firm, Arthur Young in San Jose. After obtaining his CPA license, Larry went on to graduate with a Master’s Degree in Financial Planning from Golden Gate University. In 1988, Larry left accounting and commenced his new career in mortgage financing. 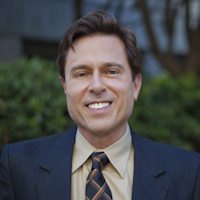 After seven years with South Bay Mortgage in Los Gatos, Larry relocated to San Francisco and joined Guarantee Mortgage. Larry has been part of Guarantee Mortgage’s rapidly expanding family for the past 18 years. Larry is known for his professionalism and has consistently been a top producer. Larry listens intently to his clients’ needs, and procures mortgage financing that is tailored to satisfy their goals and objectives. Larry’s passions include spending quality time with his family and friends, volunteer work, cooking and yoga.